Asteroids can tell critical stories about the birth of our Solar System and the processes that produced its planets. In some cases, they are time capsules for the planetesimals that went on to form our planets. In others, they've been through multiple rounds of catastrophic collisions and reformation, providing testimony of the violent processes that built our current Solar System. But figuring out what they tell us has been difficult, because their small size and generally large distance from Earth make them difficult to study using telescopes. And the bits and pieces we have been able to study directly have been altered by the process of plunging from space through the Earth's atmosphere. All that's on the verge of changing in the near future, as we have not one but two missions that will return samples from asteroids over the next couple of years. In the case of JAXA's Hayabusa2 mission, the first sample retrieval has already taken place, while NASA's OSIRIS-REx arrived at its destination more recently. But since arriving, both probes have been studying the mini-worlds they were sent to, and the first results of those studies are now in. Today, Nature and Science are releasing a large collection of papers that describe the initial observations of the two asteroids that these missions have targeted. 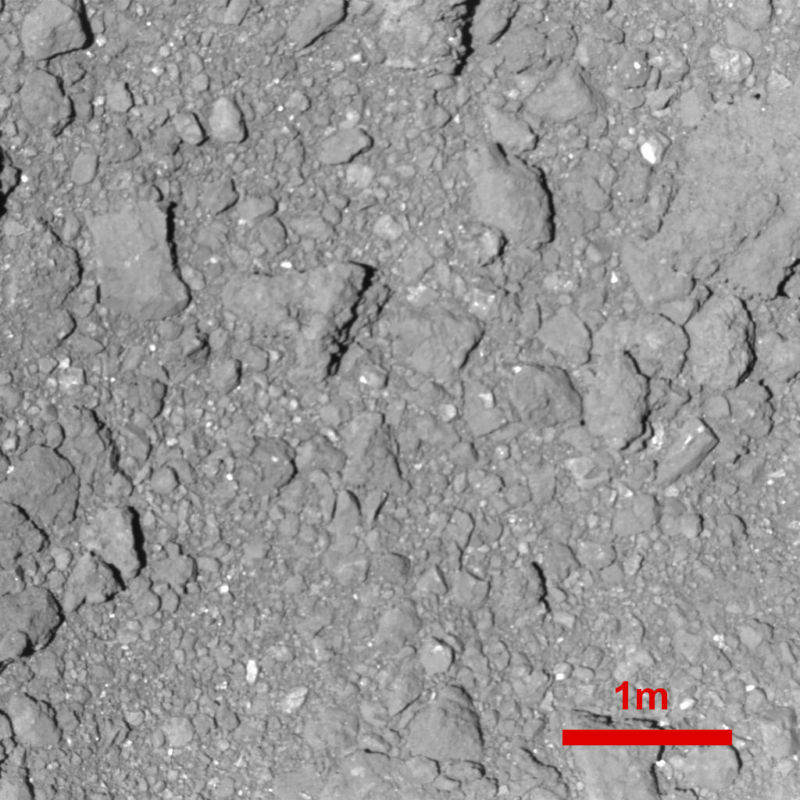 The bodies have turned out to be remarkably similar, as you can see by visiting our Bennu coverage and then comparing it with what we now know about Ryugu, described below.